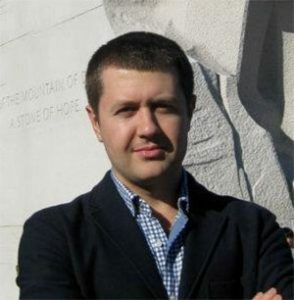 Denis Volkov joined the Levada Center as an analyst and head of the development department in 2007. He has authored several publications on civil society, protest, and political attitudes in Russia. Denis is a frequent commentator in the media, and has presented at conferences and roundtables on Russia around the world. He contributes his analysis to the Carnegie Center Moscow website. Now he is also a visiting fellow at Chatham House in London and German Council on Foreign Relations in Berlin until April 2015. He received his MA in Political Science from the Moscow School of Social and Economic Sciences and University of Manchester. He was a Draper Hills Fellow Summer Fellow on Democracy at Stanford University in 2013.